Jim Papandrea has been writing, recording and performing music for over 25 years: in Milwaukee; Minneapolis; Los Angeles; Rome, Italy; and most recently in the Chicago area. After a few years with the Milwaukee-based band, The Crabs, Jim formed his own group called The Neumes, which migrated from the University of Minnesota to LA. The Neumes released two recordings, Ars Nova and Contrast. In 1995, after a summer at the American Academy in Rome, Jim returned to the Chicago area to create Remember Rome. Remember Rome has released four CDs: Remember Rome, La Bocca della Veritá, Carpe Diem, and Holy Smoke – The Best of Remember Rome. Jim has been commissioned to write church choir music, and has also written music for film, and produced music videos. He has written and directed two musicals, Treasures of the Heart (a Christmas musical) and The Prodigal’s Dream (an Easter Opera). One of the songs from Treasures of the Heart was featured on an internationally released compilation of Christmas music. Jim holds a bachelor’s degree in music and theatre arts from the University of Minnesota, as well as a master’s degree from Fuller Theological Seminary, and a Ph.D. from Northwestern University, specializing in the history and theology of early Christianity. He has also studied Roman History at the American Academy in Rome, Italy. 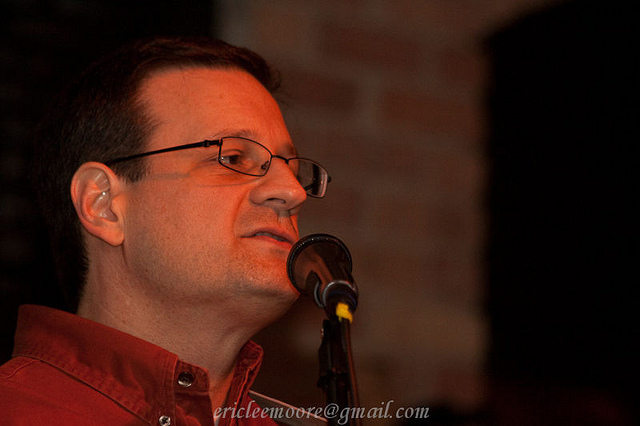 Jim is an alumnus of the Nashville Songwriters’ Association International Song Camps, and is a teacher of songwriting. He is currently Associate Professor of Church History at Garrett-Evangelical Theological Seminary (at Northwestern University) in Evanston, IL. Jim has been a featured speaker and singer at conferences, parish missions, and other special events, and also works as a consultant for churches, giving workshops and facilitating retreats. Jim and his wife Susie live in the suburbs of Chicago. Jim Papandrea’s latest CD, featuring 12 original songs of faith, inspiration and encouragement. Contemplative, devotional and confessional, Still Quiet Voice is Jim Papandrea’s first solo project after almost two decades with the successful group, Remember Rome. Songs to encourage faith and prayer, to meditate, or just to relieve stress. All the Songs is a free E-Book that contains the lyrics and guitar chords to (almost) every song Jim Papandrea has written. It also includes a commentary, with Jim Papandrea’s own reflections on the meaning of the lyrics, and the inspiration for each of the songs. Click the link to download All the Songs as a PDF.